Forty-two years on, the mark of one incredible individual remains plainly evident. An individual who played a central role as a community leader and a teacher, and whose struggle for justice, equality and the elimination of apartheid eventually cost his life – Imam Haron. Abdullah Haron was born on 8th February 1923 in the Southern suburbs of Cape-Town, South Africa. As a student the Imam was influenced by many learned scholars who had an indelible impact on him. He was greatly encouraged to participate in community activities and thus went on to offer his services to the poor and needy. Becoming more aware of his community’s socio-political circumstances, he was also significantly influenced by the ideas of the Egyptian Muslim Brotherhood and other Arab-Indian movement who helped to shape his ideas. 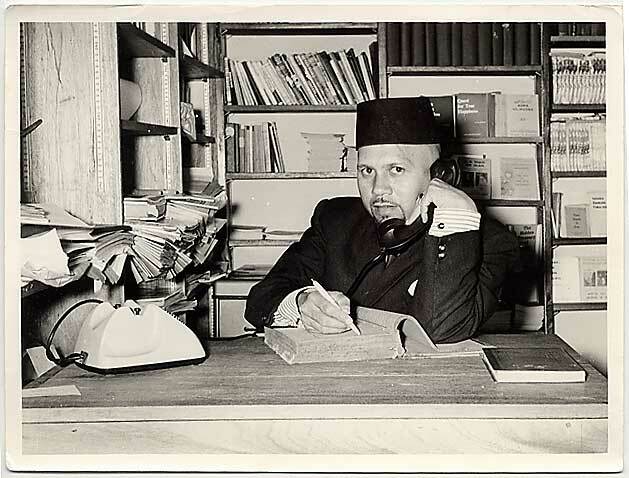 He was officially appointed as Imam of Al-Jamia Mosque in 1955 where he was able to implement many of his ideas. There, he created discussion groups, initiated adult classes, introduced brief talks about various Islamic issues and allowed everyone to participate in the mosque’s activities. In 1958, he, along with a close circle of friends, established Claremont Youth Association which went on to publish a monthly bulletin, The Islamic Mirror in 1959. Furthermore, during the same year, he was appointed as editor of the newly established monthly newspaper The Muslim News. The newspaper played a very functional role in representing cultural, religious and political issues, in addition to keeping Muslims informed about Islamic issues taking place in South Africa and around the world. The Imam also had the opportunity to channel his ideas via the Friday sermons and public lectures during the late 1950s and 1960s, where he would critically condemn the racial laws of the country. The Imam delivered many significant and memorable sermons, in one of which he highlighted the concept of human brotherhood in Islam and the Muslims role during that time and urged the people to support those most targeted by the racist system, black South Africans. The Imam was in close contact with these communities showing his social, moral and financial support. His respect and humane treatment of the oppressed is what earned him the title ‘mfundisi’ (translation: priest) from the children. Furthermore, during the 1960s, the Imam developed strong ties with individuals who allowed him to give his assistance to the families of those who were killed or imprisoned. By the mid-60s, when the Group Areas Act was strictly enforced, the Imam was one of thousands affected by it. In 1965, the Imam and his family had to move house. Fortunately, the Imam was working at the time and so could support himself financially and was able to build a new house in an area where he played a pivotal role in Muslim-Christian relations. In 1968, he undertook a journey to Mecca and it was at this time when he was warned that Security Police had a close eye on him. On 18th May 1969 the Imam was summoned by the security police and was detained under section 6 of Act 83 of 1967, the Terrorism Act. The Imam was held incommunicado for four months without having been given a chance to see his family. The issue of his detention was raised in Parliament, however the Minister of Police stated that ‘it was not in the public interest’ to know why the Imam was detained. The Imam was tortured and eventually murdered on 27th September 1969. It was declared in officiula documents that the Imam had died after being badly injured subsequent to falling down a stair-case. His family requested for an inquest following which they sued the Minister of Police who paid them R500,000. A much loved community leader, the Imam played a huge religio-political role and was active within an inactive community in raising awareness of the plight of his fellow country people living under Apartheid. To see the photogallery of the 2009 40th Anniversary Memorial event visit the iHRC gallery here.